Hi! Hope everyone had wonderful Eid. Anabas (Climbing Perch) is one of my favourite fishes. Before giving the recipe I should tell strange fact of this fish. During heavy rain Koi / Anabas(Climbing Perch) go out from water and starts climbing on earth(Interesting). Bangladeshi who lives in overseas, misses 3 “F”s(Family, friends and fresh fish) and poor me don’t like to cook old frozen fish. But something is better than nothing (nai mamar cheye kana mama bhalo). Enjoy. 1. About cleaning Koi fish is very important (because mud inside head). Use tooth pick to clean inside head. Rub salt well to clean the fish. Cut 1-2 slits on each side of each fish. 2. Add 1/3 ts salt and ¼ ts turmeric powder to the fish and keep them aside. 3. Heat the oil and add onion and rest of spices; cook it becomes oil is separated. Add fish and cook 1-2 minutes each side. 4. Add 1/3 cup hot water (or enough water to cook) and green chillies; cook under closed lid till fish is cooked and oil comes up. 5. Add coriander leaves, cook 1 minute and remove it from heat. 6. 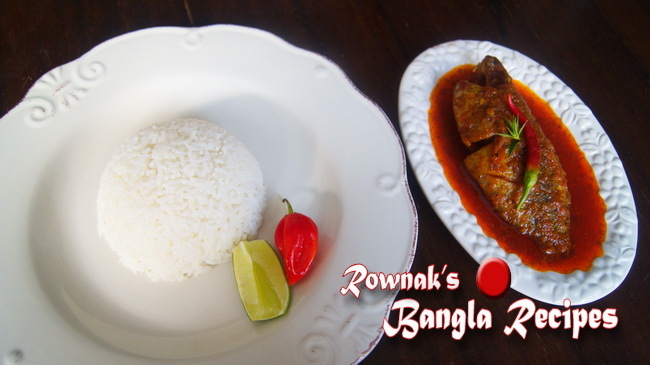 Tel Koi /Spicy Anabas (Climbing Perch) with steamy hot rice or even polau. Tips: you can add green peas or climbing spinach leaves (pui shak) in it. It’s very testy and one of my favorite fishes dish. The only problem is it that the original fresh Koi fishes are not available here in Saudi Arabia. 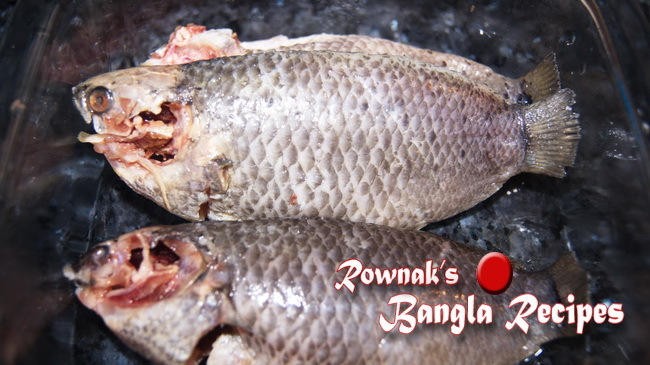 Either to use frozen that comes from Bangladesh or from eastern countries or Telapia and some times in a similar shape of sea water that’s the local (Pakistani) also call Koi. However, can it be tried with Telapia, local Koi or frozen Koi? Thanks for remembering me with your new Bangla recipes and hope to be continued in future. 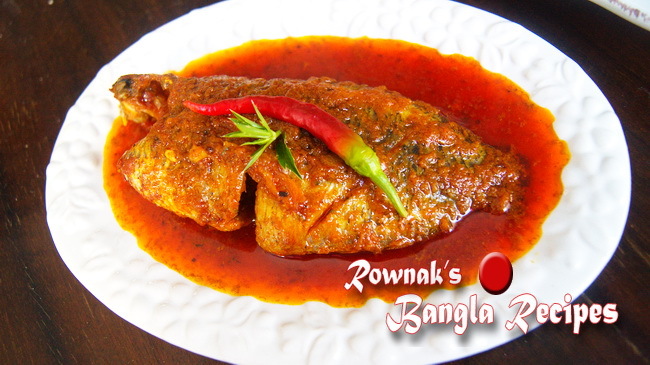 I really learnt lot of Bangla delicious dishes from you those my Pakistani wife has no experience but she likes to eat by trying to cook your recipes or by my cooking. Sorry for late reply.As you and all Bangladeshi know, you cant beat the taste of fresh koi mach. but we (you, me and other poor Bangladeshi people) live in oversea, there are no option except frozen koi(certainly Bangladeshi one). If you get fresh talpia , you can try this recipe, taste will be different though. Koi mach has no alternative. Thanks. Hi Rownak! tried your Glassy recipe(Eid speciality)it was really very tasty. I must try the Koi fish recipe too. Sounds very tasty. You are doing a great job, three cheers for you keep up the good work.